Dave Campbell typically gets two questions when people learn he runs Duluth's Aerial Lift Bridge. The first question — Why do you start raising the bridge when cargo ships are still a mile and a half away? — takes a few minutes to answer. The second — "Can I go for a ride?" — is easy. No, you can't. 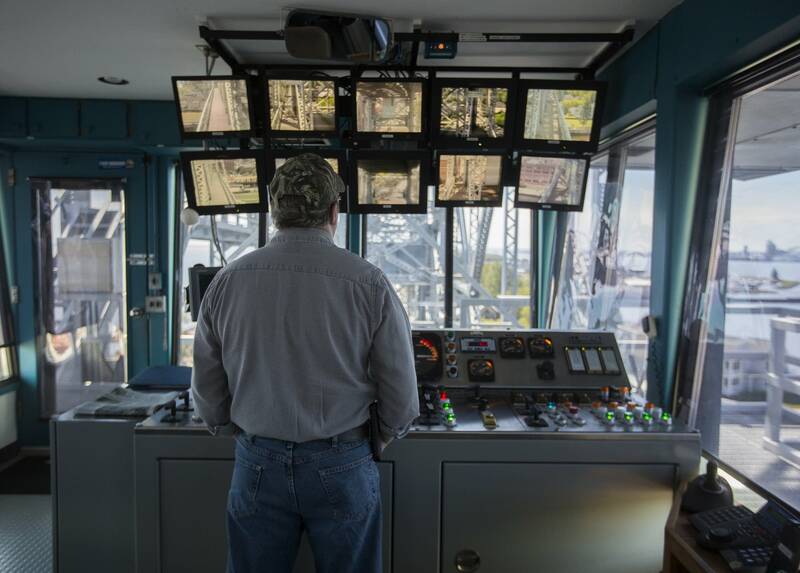 Being a lift bridge operator is a great gig, but it's not a game. The city's five lift bridge operators pilot the span up and down about 4,500 times every year, 24 hours a day, seven days a week during the Great Lakes shipping season that runs from March to January. Their office is the pilot house, a one-room cabin perched in the middle of the bridge, above the roadway. It's outfitted with a control panel, computer, radio and satellite systems to monitor and communicate with boat traffic. 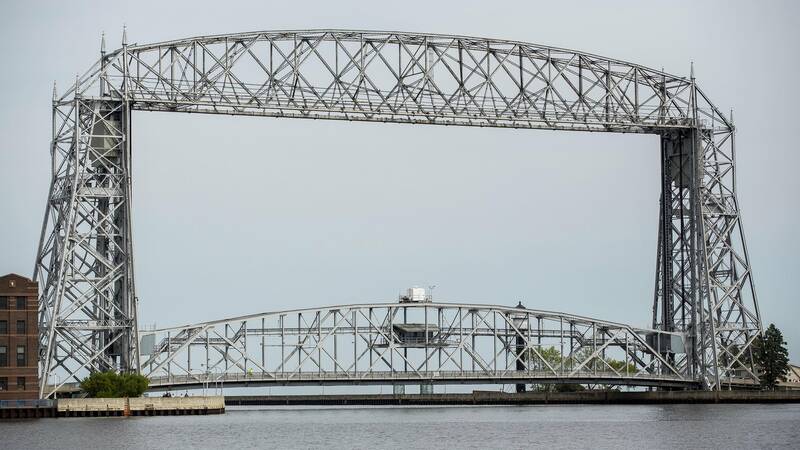 On a recent, glorious Duluth day, Campbell offered a look behind the scenes at the delicate, daily ballet between giant boats and bridge. "Roger, Cap, We're just getting ready to start her up now for you," he radios to the captain of the 1,000-foot vessel Walter J. McCarthy, 1.5 miles away. Campbell waited for traffic to clear on the bridge, and scanned a bank of monitors for pedestrians, his biggest single worry. "One last look, all is good, raise." It takes three minutes for the 1,000-ton bridge to raise up 120 feet. Cement counterweights, each weighing 500 tons, slide down on either side of the bridge as the roadway and the pilot house, rise. "Everything on this thing is big, and everything on it's heavy," he said. "But I tell people, it's nothing but a glorified elevator, that's all it is." • NewsCut: Best job in Minnesota? The bridge looks like it was built with a giant's erector set. It was originally a gondola bridge that ferried passengers over the water, like a ski gondola. The lift bridge was added in 1929. 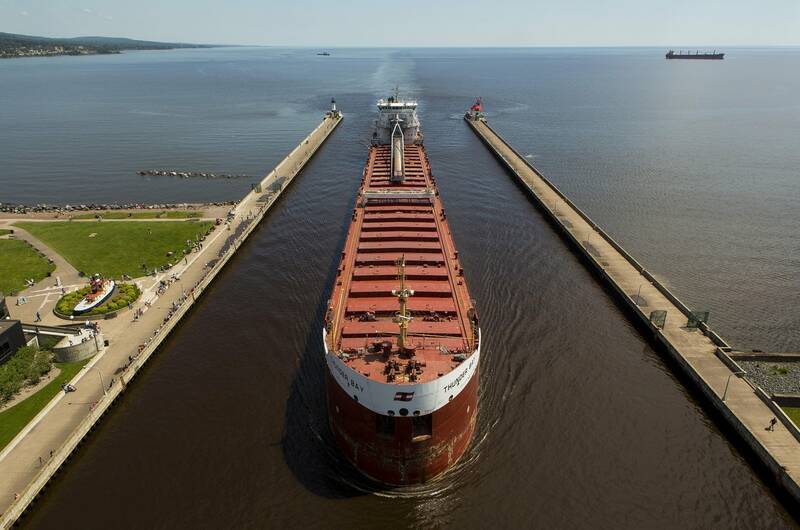 Nearly a century later, it's Duluth's most famous landmark, allowing sailboats, fishing charters and giant freighters like the McCarthy to enter the Port of Duluth-Superior. It's a landmark that also demands some patience. For the biggest vessels, the bridge must start its ascent while they're 1.5 miles out. "For them to stop is pretty much impossible, said Campbell. "It takes forever for them to get that thing slowed down and reversed, we have to give them plenty of time to maneuver if something happens." Traffic can bring Canal Park to a stop and back up traffic all the way to Interstate 35 in the middle of the summer during a long lift. "You feel kind of bad," Campbell said. "But contrary to what a lot of people believe, we're here for the boats, not the car traffic, so the boats always have priority." The ship right-of-way into the harbor was the deal the city made with the United States Coast Guard when it first built the bridge. As she approached the bridge, the Walter J. McCarthy's captain thanked the bridge operator with three horn blasts, one long and two short. Campbell responded with the bridge's horn. "We try to answer him kind of the same way they give 'em to us," he said. When the bridge is at full height above Lake Superior, the view from the pilot house is stunning. Sun sparkles off the lake and tourists line the ship canal. It's a view that never gets old, said bridge operator Mark Nyman. "I never get tired of seeing the ships come and go, talking to (captains) on the radio," he said. "I never get tired of watching the waves come in." 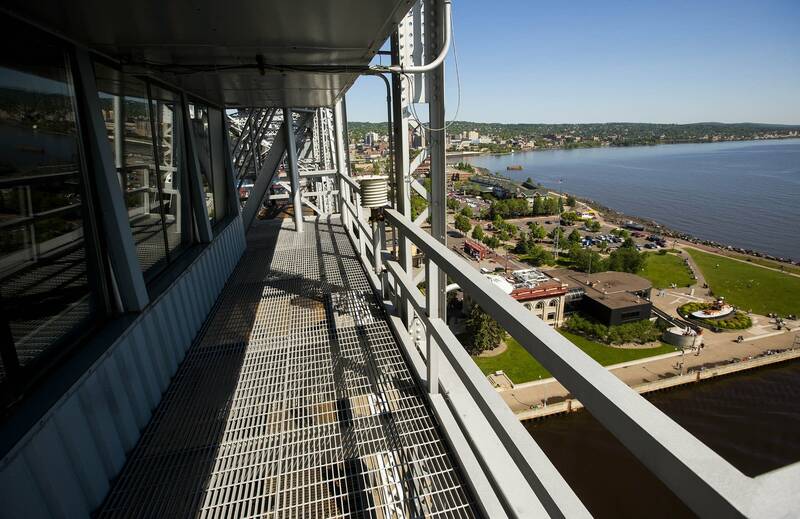 When a job opened up earlier this year for a lift bridge operator, the city received 135 resumes. Nyman was the lucky applicant, landing his dream job on his third time applying. The 57-year-old has Lake Superior in his blood. His dad sailed on cargo ships. His mom worked on a tour boat. 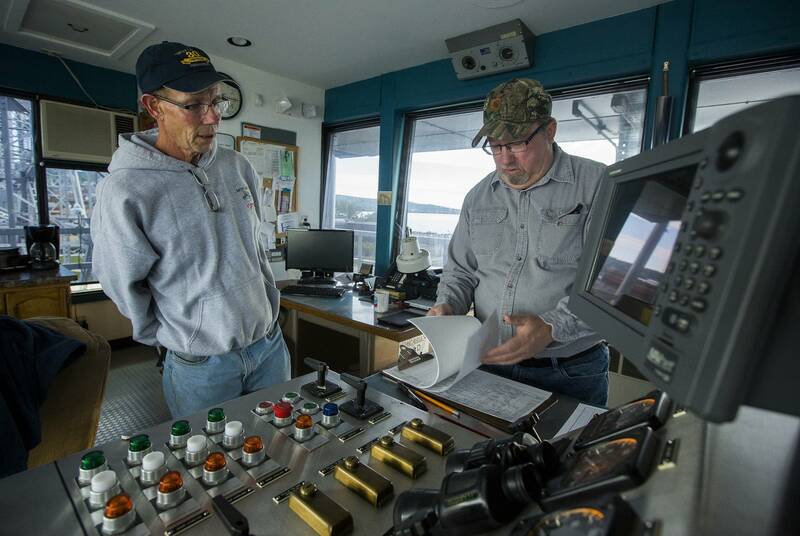 He's worked in the Duluth-Superior harbor for about 20 years, including a stint as a tugboat operator. So, what was his first ride like on the first day of work? "It was pretty cool," said Nyman. "And you know it still is. The other operators will say, 'Oh, that will wear off after a while.' It never will for me because this is something I've wanted to do for a long time." The job can be lonely and stressful, although the boats aren't the main worry when the bridge goes up. Pedestrians, said Campbell, will try to jump on the bridge as it starts to raise, even climb its towers. "You get to the end of the eight-hour shift, you haven't really done anything physically. But you're mentally exhausted," he said. "Those kind of days it loses some of its luster." Still, Campbell knows he has a unique job, with one of the best views anywhere. And here's a tip. 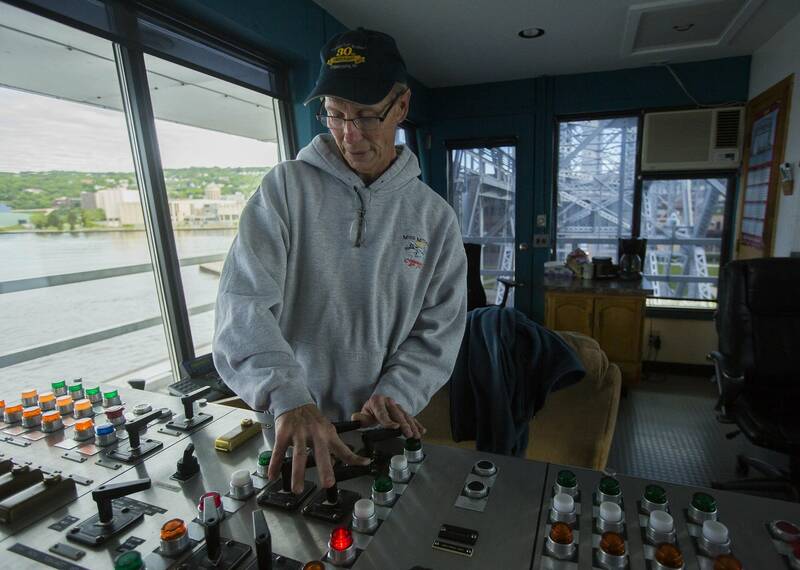 One of the lift bridge operators plans to retire in the next couple years, he said. So get that resume ready. It's a job that doesn't come open too often.